We add SEO to our photographs to help our clients receive a higher ranking and get found on the internet. Get a higher SEO ranking with Gilmour Photography. When MK Wealth launched their new website they Googled themselves (sounds kinda dirty). Google didn’t find their web site but it did find the photographs we made for them. Before going any further, I want to make it clear that TD MK Wealth is not the same company as the MK Wealth referred to in the Ripoff Report. 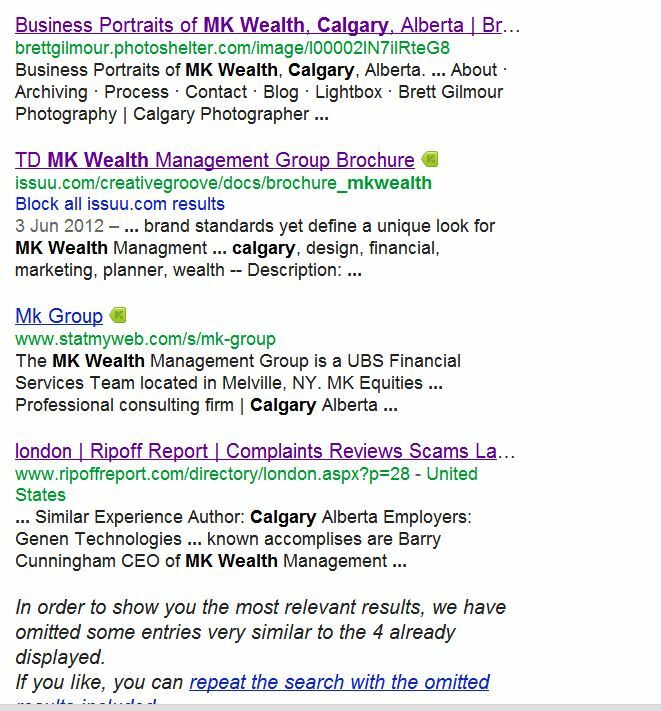 Because of our SEO system MK Wealth Calgary ranked #1 in Google searches even though their website did not come up in a Google search. Contact us to find out how we can make photographs that tell your story and get you noticed.